The times–Amos lived in times of material prosperity. The long reigns of Uzziah (783-742 BC) in Judah and of Jeroboam II (786-746 BC) in Israel (1:1) had brought stability, prosperity and expansion to the two kingdoms. The Southern Kingdom had subdued the Philistines to the west, the Ammonites to the east and the Arab states to the south. Uzziah’s political influence was felt as far as Egypt (2 Chron. 26:1-15). The date–762 BC– Amos was the first of four eighth-century B.C. writing prophets in Israel. The other three were Hosea (c 750 BC), Isaiah (c 740 BC) and Micah (c 735 BC). Amos & Hosea prophesied in Israel, while Isaiah and Micah ministered in Judah. Judgment on Sins against Conscience (1:3-2:3). 1). Judgment on Damascus (1:3-5). 2). Judgment on Philistia (1:6-8). The sentence of the message (1:7-8). a). “I will send a fire…” (war to devour). b). “I will cut off…” (the respective rulers). c). “I will turn My hand…” (with power so Ekron will feel the full strength of God”). 3). Judgment on Tyre (1:9-10). 4). Judgment on Edom (1:11-12). 5). Judgment on Ammon (1:13-15). The sentence of the message (1:13-15). 6). Judgment on Moab (2:1-3). The sentence of the message (2:2-3). b). Elimination “I will cut off…” (the ruler). Judgment on Sins against the Law–Judah (2:4-5). Judgment on Sins against Love–Israel (2:6-16). 4). The sentence of the message (2:13-16). Proclamation I–Privileges Despised (relates to the present) (3:1-15). 1). Privilege brings responsibility (3:1-2). Deut. 32:12. The summons to attention (3:1). The statement of accountability (3:2). 2). Penalty follows irresponsibility (3:3-8). 3). Punishment then is God’s responsibility (3:9-15). Proclamation II–Perversity Described (relates to the past) (4:1-13). Designation of the offenders (4:1a). Description of their offenses (4:1b). Denunciation of the offenders (4:2-3). 2). Announcement (4:4-5). “Come and sin some more.” (biting sarcasm). Courses of blight & devastation (4:9). (5:1-6:14). “Thus says the Lord,” vv. 3, 4, 16. 1). The “Woe” of an Inescapable Penalty (5:1-27). v. 18. The announcement of ruin (death) (5:1-3). The appeal to repentance (5:4-15). vv. 4, 6, 14. 3). Seek Me in a personal way (5:14-15). The agony of rejection (5:16-20). The absence of righteousness (5:21-27). 2). The “Woe” of Irresponsible Prosperity (6:1-6). A false sense of security (6:1-2). a false sense of values (6:3-6). 3). The “Woe” of Inevitable Punishment (6:7-14). The declaration of coming punishment (6:7). The denunciation of confident plans (6:8-10). The devastation of overconfident people (6:11-14). Vision I–Vision of the Swarming Locusts (7:1-3) . Forgiveness. 2). The instrument of punishment (7:1b). 4). The indication of the divine purpose (7:3). 2 . Vision II–Vision of The Consuming Fire (7:4-6). Familiarity. 2). The instrument of punishment (7:4b). 4). The indication of the divine purpose (7:6). Vision III–Vision of The Hanging Plumb line (7:7-9). Failure. 3). The intention of punishment (7:8-9a). Tyranny of False Religion (7:10-17). 1). Complaint against the prophet (7:10-13). 2). Condemnation from the prophet (7:14-17). 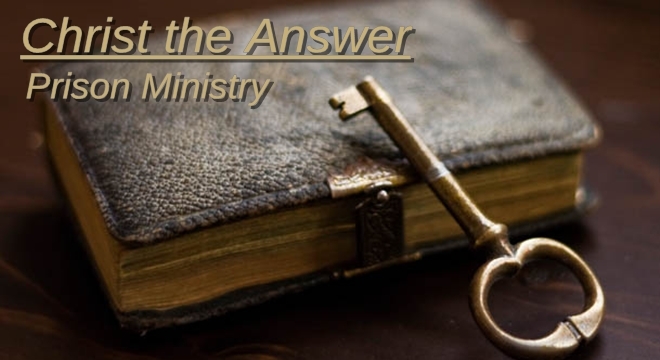 A commission with an authority for message (7:14- 15). A courage due to a message of authority (7:16-17). Vision IV–Vision of Over Ripe Summer Fruit (8:1-14). The interpretation of proclamation (8:2b-3). “This is the end! A famine of hearing the Words of the Lord (8:11). A futile search for the Word of the Lord (8:12). A fainting from thirst for the Word of the Lord (8:13). A failure of false religion (8:14). Vision V–Vision of the False Altar (9:1-10). Expectation–“I will raise up” (9:11-15). Statement of hope (vv. 11-12). Sustenance that is abundant (v. 13).